Having a blog allows me to express how I feel and share my thoughts and ideas in the things that I love doing, in this case, home decorating. Of course, I must admit that besides the passion for doing things beautiful, I was inspired by several interesting ladies and cool blogs in the internet that encouraged me to share what I know about home décor and DIY projects as well. Here is a shout out to a few of the ladies that have inspired me to launch my own blog and websites that gives me inspiring ideas on what’s cool and what’s not for my home. FurnishMyWay is one of the interesting blogs that I happened to bump into online. The lead writer of the blog, Hailey Lutich happens to be the most viewed writer in the Home Décor category of Quora.com so I am pretty sure that I am reading straight from the experts in this blog. The ladies behind the blog may have diverse styles when it comes to fashion and interior design but makes a great group of writers that can really inspire you not only to write but to try one of their interesting home projects even once in a while. They also provide great reading recommendations if you want to explore more ideas and inspirations for your home decorating needs. Now the blog is not just a source of inspiration and design ideas you can add to your homes but also a haven for shopping furniture and trinkets for your home. 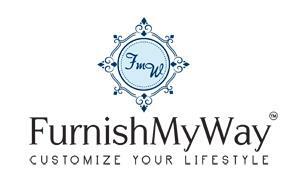 Inspired by the intricately design furnishings of the Old English descent, FurnishMyWay began in 2010 and became one of the leading experts in impeccable furnishings and decorations. With the aim to ‘encourage our customers to not just decorate, buy stylishly transform the spaces in which they live and work”, this blog is definitely worthy to be read. Melissa from The Inspired Room is a NY Times Bestseller author of the book Love the Home You Have that was released earlier this year. She also has a new book due for release this coming November 2015, The Inspired Room. She also happens to be voted last 2014 and this year as “Reader’s Favorite Decorating Blogger at Better Homes and Gardens Magazine. So basically, this lady has definitely a hefty load of information and ideas when it comes to home decorating and design. The blog that has been around for almost 8 years has continuously inspired several women, even men, around the world to create a home that they LOVE. Being stylish and up-to-date was never the main thing in mind with the ideas shared in this blog. It is all about creating a home, one that suits yours and your family’s needs. Melissa is also a perfect example of a Super Mom who manages to build a fulfilling career, be the best wife and mom to her family and a concerned citizen through the volunteer work that she does. She is definitely a very inspiring lady to follow and has a great blog to read. Addicted 2 Decorating is a fun DIY home decorating blog perfect for those who are interested to try new things and learn new skills as they try to master the art of decorating their homes for less the cost. Your creative will be triggered and tested as you go through the pages of Kristi Linauer’s blog. She wanted to major in Interior Design back in college but ended up getting a degree in Psychology. However, her calling for things that makes our homes beautiful didn’t stop her even if she was busy working in several mission trips in Germany, Morocco and Egypt. She still found time to create and started out this blog after a few years since she went back to the United States. She initially started with a full service interior decorating company in Waco, Texas as well as several surrounding areas. Finding a way to release stress from the busy work that she had, the Addicted 2 Decorating Blog was born in 2007, where she shared tips and tricks on how to tackle home decorating projects at home for both professional and rookies like me. She actually chronicled her own decorating projects at home, which makes her blog more personal and easy to connect to because you get a glimpse of the actual experience that one has to go through when doing DIY home projects. Reading through her blog was definitely very helpful. In My Own Style is another interesting read if you love colorful and budget friendly DIY projects for your home. Diana’s prized possessions may be her two daughters but she definitely has a knack for beautiful things for your home in her blog. At first, all she wanted was to decorate her home in her own way at her own style. She later on decided to take things to a higher level and documented most of her projects not just to brag but to share real life experiences that she had during the endeavors of her projects. With a supportive husband on her back, pursuing a career in writing while doing her first love, home decorating, became much more easier and a fun experience. She even managed to write her won decorating book, Instant Decorating which was published back in the 1990’s. Everyone will definitely love her ingenuity and resourcefulness in the projects that she does on her blog. This is just a few of the blogs that I enjoy reading during my free time. More blogs to be featured this month so be sure to be on the look out!